Discussion in 'Television' started by Use the Falchion, Oct 28, 2018. What show are y'all currently watching, be it weekly, daily, binging, re-watches or otherwise? I'm currently re-watching Black Lighting and The Dragon Prince with my parents. They haven't seen either so it's been a fun journey mostly. Next I'd like to watch Avatar: The Last Airbender with them, but my mom already dislikes cartoons (her watching The Dragon Prince is a Big Deal) and we're all still traumatized by the movie. With my dad alone I'm watching Star Wars Resistance and Naruto. I didn't expect him to like the latter, but he really does. Anyways, what are all y'all watching? Star Trek Voyager, seventh season. Making a Murderer, finished second season. Handmaid's Tale here. Good stuff! Technically Dirty Pair (1985) anime, but the episodes are standalone, so there is no rush. I'll stick to anime for a while and this weekend I'll start Crest of the Stars (1999). just finished The Haunting of Hill House. somewhere under all of its meandering and silly ghosts and navel-gazing there's the semblance of what could have been a great plot, kinda. Oh, and Crest of the Stars is also awesome. But in all the right ways. I wish I had one ! Finally, I started The haunting of Hill house and I'm definitely hooked. I'm starting ep V.
Way better than stranger things. i finished 'Informer' last night. a six-part BBC drama about a young guy from London who get's coerced by a Counter-Terrorism Officer into informing for him. I struggled at the start, but it was well worth seeing it through to the end. loved it ! I'm currently binge-watching Mr. Robot and liking it a lot. Malek is fantastic and the rest of the cast is rock solid, too. And I love all the references to films, shows, books, and music that inspired or informs the show. Good times! Can so relate with you, though Numberblocks is quite good as well. Otherwise catching up with Killing Eve and made a start with Jack Ryan. Also watching lots of old episodes of Poirot David Suchet is just perfect as Poirot. Castelvania on Netflix so good shame it’s I has such short seasons . While I have seen many episodes over the years I decided I wanted to go through them in order and catch every single episode. Such a great show. 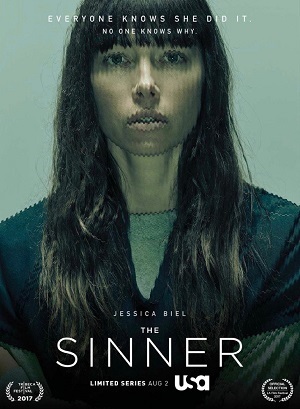 I finished last night: The Sinner. They are showing the second season on Netflix right now. If you enjoy series like True Detective or Mind Hunter I think you will enjoy this show, specially the first season. First and second season are two different cases, but the same detective.